Children on the spectrum are not immune from parental separation and divorce. With this reality comes the introduction of at least one new home and a very different schedule (where am I, when, and with whom). By creating a visual weekly “home schedule” that can be referenced by the child at anytime (and with you), you are helping him/her become accustomed to the new and often confusing shift in routine. Intervention: The picture says it all. 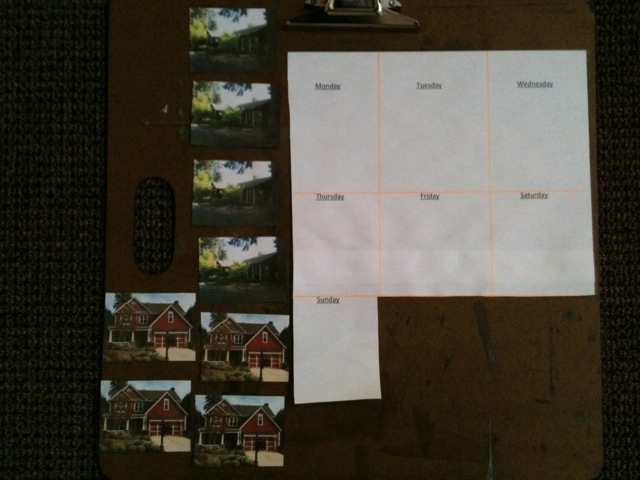 Materials needed: Color Printer, Picture of both parents homes (4 of each), laminated paper, scizzors.